His Beatitude, Metropolitan Tikhon of the OCA, who was tonsured a monastic at St. Tikhon’s Monastery in Waymart PA. 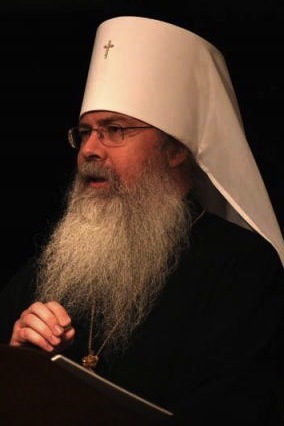 Such is the impetus behind this book project, which seems to dovetail in a most providential way with the words and mission of His Beatitude Metropolitan Tikhon of the OCA, and of Archimandrite Sergius, abbot of St Tikhon of Zadonsk Monastery in Waymart PA. In addition to supporting our monasteries as institutions, it is important for all of our clergy and faithful to recognize the great contribution that the monastics make to the Apostolic Work of the Church. It has historically been the monasteries that were on the forefront of the missionary endeavors of the Church, beginning with the example of the early Church. It is my prayer and hope that through this endeavor, some young people will be inspired to test the monastic calling themselves. As God wills. Recognizing this Apostolic Work of the Church and the great contribution which monasteries have traditionally made to that holy labor, this photographic pilgrimage must not be misunderstood as merely an opportunity for a fine art depiction of the lives and settings of monks and nuns in North America. The goal is not a handsome photo book. Rather, the book is but a tool in service of the real goal. The point is not to “abstract” or objectify the monastic way, and inadvertently further distance it from the minds and hearts of Orthodox faithful. 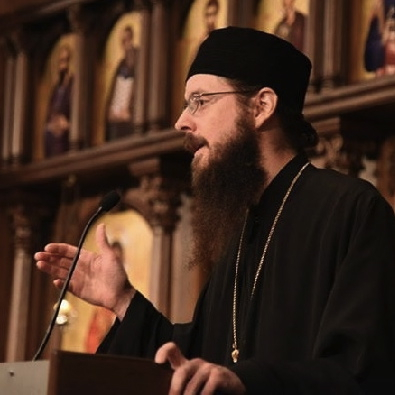 Rather, the purpose is to help make the monastic life vividly and beautifully present and real, and in the best sense of the word, to challenge our Orthodox brothers and sisters, especially young people and children, with the radical, martyric — but also joyful — call to follow Christ, which Metropolitan Tikhon spoke of in his AAC address, and which our monastic brothers and sisters faithfully strive to follow every day. Nor will this project somehow inadvertently convey a false dichotomy between the monastic and married life, between following Christ through the tonsure and following Him in the world. Fr. Sergius, Abbot of St. Tikhon’s Monastery. Here we can apply the counsel of Archimandrite Sergius, Abbot of St Tikhon of Zadonsk Monastery, who notes that both monastics and married laity are “called to live 100% for our Lord 100% of the time,” and the monastic life has traditionally been accepted as the inspiration for the laity. Monasticism affects the entire Church: “We, as members of Christ’s body, can and must support the building and growth of monasteries and monastic vocations. By so doing, we invest in the well-being and preservation of the Church as well as in the ‘churching’ of America. Through the monasteries, organic Orthodox life will grow and flourish, and acting like a catalyst, it will empower and inspire local parishioners to give more of their own hearts and lives to God and to prayer.